This is the set for golfers looking to improve their putting with the focused, and deliberate green reading practice from all sides of the hole. A set of three Standard Putting Plates, but with a durable, flat white powder coated finish. 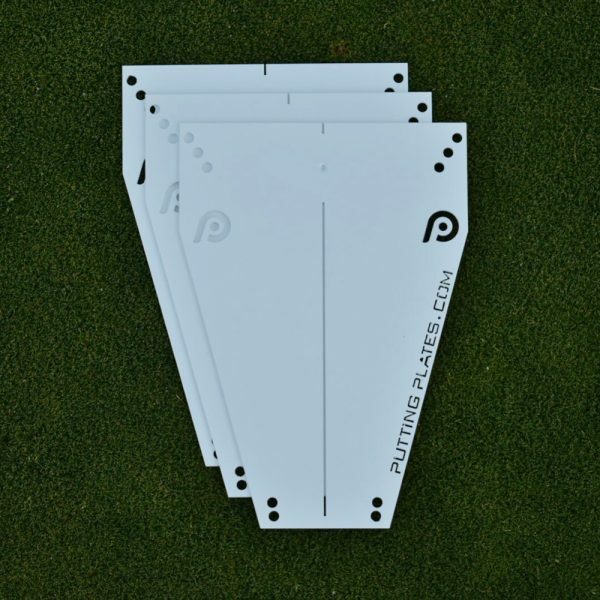 Powder Coated Putting Plates provide the feedback golfers need to improve their green reading, ball start line, putter face at impact and speed. *To keep your Powder Coated Putting Plates looking their best, store in the provided Putting Plates bag when not in use.